Check out the deep pink skies, it was a super sunrise the morning I shot this. Probably due to smog or something. This is famous La Jolla Cove, one of the jewels of San Diego and home to good diving and snorkling, bird and whale watching, and rough-water swimming. It takes a really big swell to get the wave at La Jolla Cove to break, but when it does it is impressive. This day it was super flat. So dreamy. 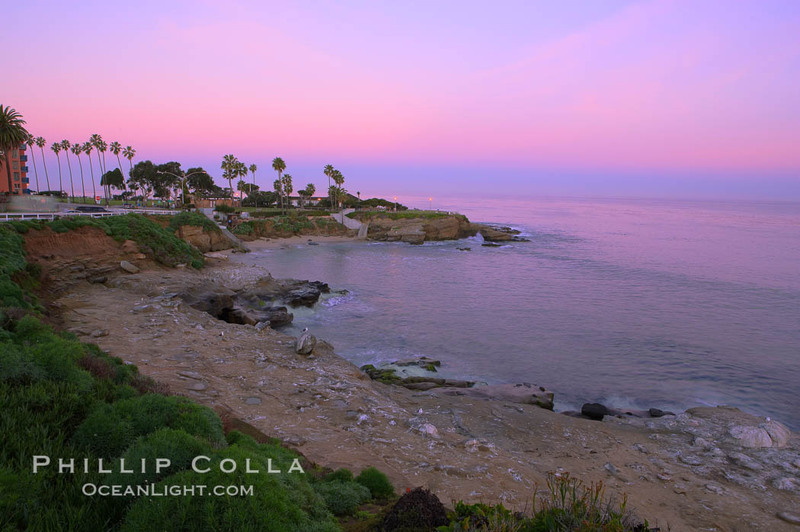 La Jolla Cove meets the dawn with pink skies and a flat ocean.